For many of us, driving luxury cars is already considered a passion. However, there are some of us who prefer to be driven around. Chauffeur-driven cars are in a class of its own with a level of luxury many sedans just cannot compare with. Usually, there are plenty of different features that are more distinct towards the passengers rather than the drivers itself. These features range from turning your cabin into your own personal mobile home office to even your private entertainment cabin. Modern day limousines now adopt a more sedan-like approach with the main difference being a longer wheelbase. Through this, it also offers much more space in the backseat cabin as opposed to your regular sedans. Because of this, the use of traditional limousines has since died down tremendously. Gone are the jet black, gargantuan wheelbase cars that stretch several parking spots at once. While you can still find these cars in other countries, it never caught on in Asian countries, and with good reason. If you’re looking to upgrade from your daily sedan to a modern-day limo, scroll on down below to find out what each car has to offer. Before being acquired by Mercedes-Benz back in in 2015, Maybach was a standalone luxury German automaker. It now exists as part of a sub-brand of Mercedes-Benz, which led to the creation of the Mercedes-Benz Maybach S 560. It remains as the largest S Class vehicle to date with a much longer wheelbase than its entire repertoire. This allows passengers in the backseat of the cabin to reap the rewards with executive seats on both sides. Said seats come with the Magic Body Control feature, ensuring that comfort takes precedence above all else. Folding tables as well as heated and cooled cupholders are available on the Mercedes-Benz Maybach S 650. In addition to that, it comes with the Burmester high-end 3D surround sound system featuring a total of 27 speakers as well as a Frontbass system in the bodyshell structure of the car. Rolls-Royce is the epitome of luxury vehicles. Its classics like the Phantom and the Ghost are key examples when it comes to chauffeur-driven luxury cars, but the Cullinan takes the cake. Being a luxury SUV, one might think that it would not be suitable to be a chauffeur-driven car, but Rolls-Royce thinks otherwise. Right from the get-go, you’ll be greeted by the iconic Rolls-Royce suicide doors with touch sensors on the exterior to detect when you want the doors to be closed. In typical Rolls-Royce fashion, the Cullinan offers plenty of customisation choices, most notably if you’d rather have individual or lounge seats (two or three passenger seating). Seating choices offers two different choices; Individual Seats layout will have the centre console converted into your miniature liquor cabinet, which also comes with two Rolls-Royce whisky glasses, a decanter, champagne flutes, and a miniature refrigerator. 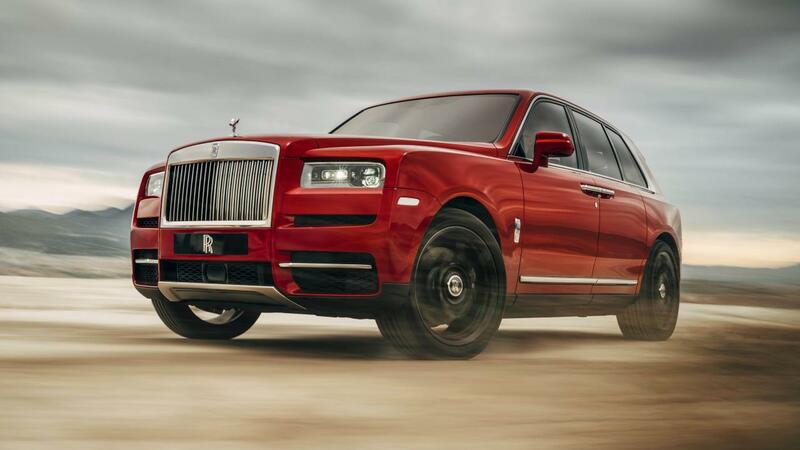 Wi-Fi hotspots, two touchscreen displays, a wireless charging port, as well as an 18-speaker Bespoke audio system that fills up the rest of the features available on the Rolls-Royce Cullinan. 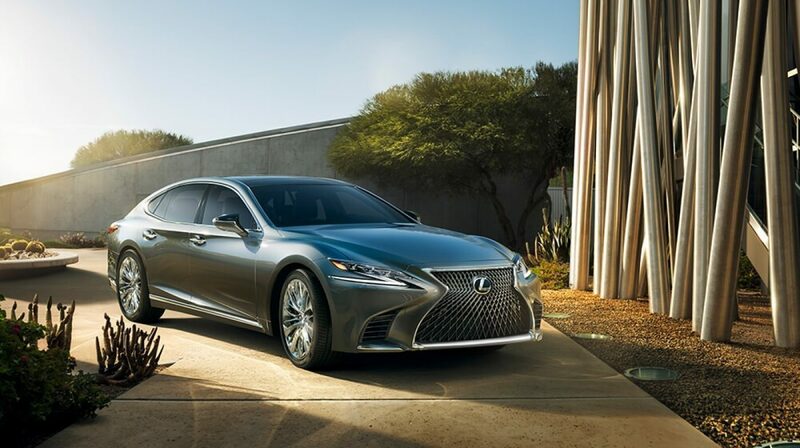 Aside from its F marque division of highest-performance vehicles, the Lexus LS 500 is the closest one can get to being a chauffeur-driven car. This full-size luxury sedan is like no other with its level of detail taken to extreme lengths. This is particularly noticeable in its interior designing done by Lexus’ Takumi master craftsmanship, which is an ancient Japanese concept. These master craftsmen apply a subtle yet detailed touch to every aspect of Lexus’ design and development in its car. There are many variants of the LS 500 but the grandest would be the Executive edition, which comes with all the trimmings. This includes retractable ottoman with adjustable seat cushions made from plush leather as well as a shiatsu massage function with ventilation. Climate control within the cabin is also adjustable via infrared detectors as well as LCD display screens and to top it all off, the Mark Levinson QLI Reference sound system within the car ensures that whatever song is playing on the radio sounds amazing. The Bentley Mulsanne is unlike many other full-size luxury sedans. First off, it’s named after the Mulsanne Corner of the Le Mans racing circuit. The car made its debut in 2010, being one of the oldest on the list. However, the Bentley Mulsanne Extended Wheelbase (EWB) made its debut during the 2016 Geneva Motor Show. As its name suggests, it’s designed with a much larger wheelbase than its predecessor. This is due to Bentley placing the priority to the rear passengers with much more legroom over the standard model. It also comes with airline-style extending legrests as well as a rear compartment sunroof. The Bentley Mulsanna EWB also comes with plenty of optional upgrades like a beautifully designed centre console that can accommodate folding picnic tables for rear passengers. Electric privacy curtains are also available if you ever decided that you need a pair. Porsche is known to have a long history with its exceptionally fast luxury cars. 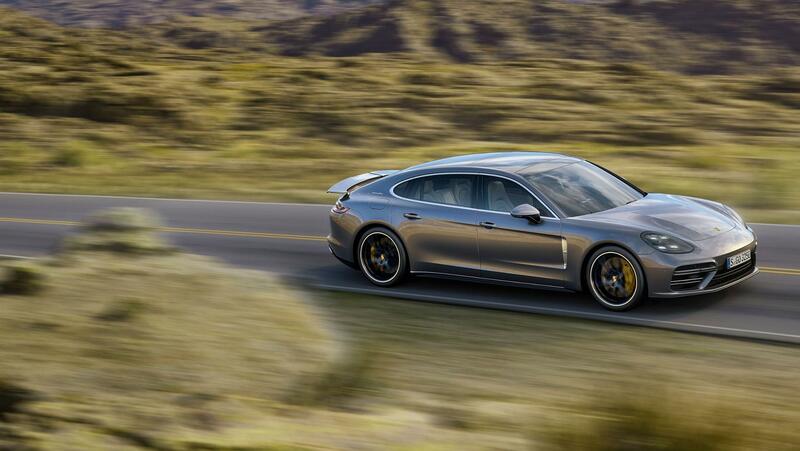 The Porsche Panamera is one such luxury vehicle with the Panamera Turbo Executive having a longer wheelbase than normal. 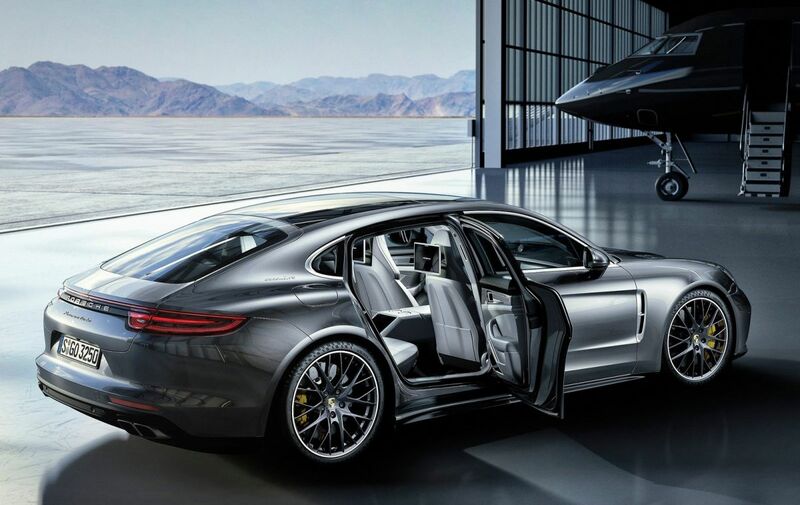 However, what makes the Porsche Panamera Turbo Executive different from the others on the list is that it is still capable of putting out 550hp of power with a top speed of 300kph. However, it is the interior that matters most with electronically adjustable seats and headrest restraints. A panoramic sunroof is also available as well as a lighting package, which includes illumination in the floor wells, door storage bins, as well as reading lights. The rear centre console also houses a touchscreen display alongside two LCD display screens for each rear passenger.